A couple of days ago, Google announced that they were essentially rebranding Brillo to Android Things (I do love that name, by the way! ), and finally opening it for a Developer Preview. It is already supported on Intel Edison, NXP Pico and Raspberry Pi 3, and there are ready to use filesystem images that you can just flash to get going with Android Things in just minutes. 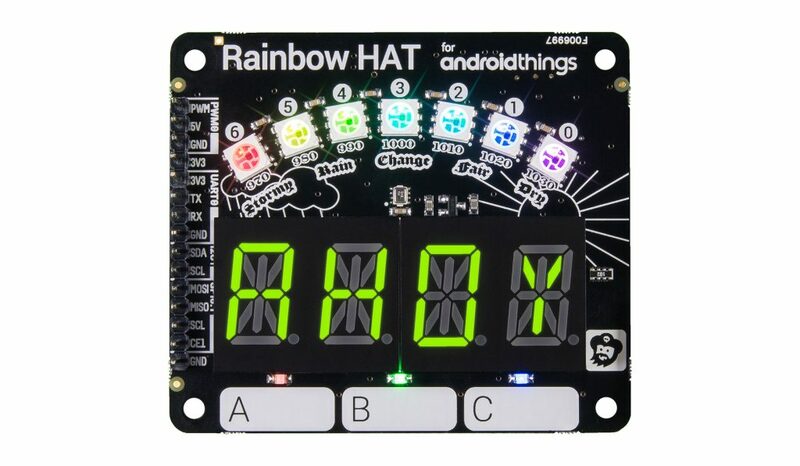 The Rainbow HAT sensor kit that’s available for Raspberry Pi is very cool, and includes a 4-digit LED display, 7 RGB LEDs, a temperature and barometric sensor, a piezzo buzzer for basic PWM-based audio, and three capacitive touch buttons. Sparkfun has a kit that’s targeting the Edison, while Adafruit’s kit is general purpose and meant for breadboard enthusiasts. Anyone who’s tried to manipulate low-level peripherals using Java will be pretty happy to see that Android Things’ Peripheral I/O APIs provide nice wrappers for GPIOs, PWM, I2C, SPI and UART. Finding good development tools for building IoT solutions is always a challenge. It’s great to be able to leverage the Android SDK tools and Android Studio for things like device emulation, debugging, etc. 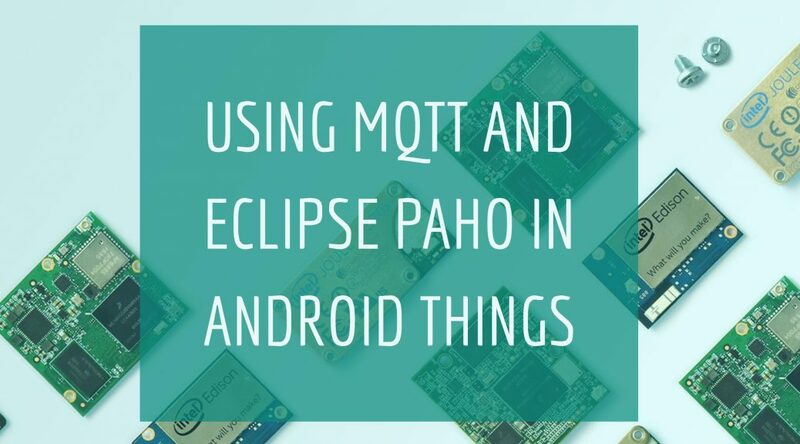 I just received my Rainbow HAT today and thought I would use the opportunity to do a quick tutorial on how to use MQTT with Android Things, using Eclipse Paho. What’s more, I’ll also show you a cool feature in mqtt-spy that will allow us to easily display the live temperature on a chart. I used the Weather Station example from Android Things as a starting point, as it is already including code to publish data to the cloud using Google Pub/Sub. My fork is available on Github, and as you can see the changes to the original example are very limited! Check out the video, and let me know if you have any questions!